Melanie and her friends set off to break the Mardi Gras code. They chase clues throughout the season&apos;s parades, sneak into forbidden float barns, and even join forces with the intriguing boy who lives down the street. 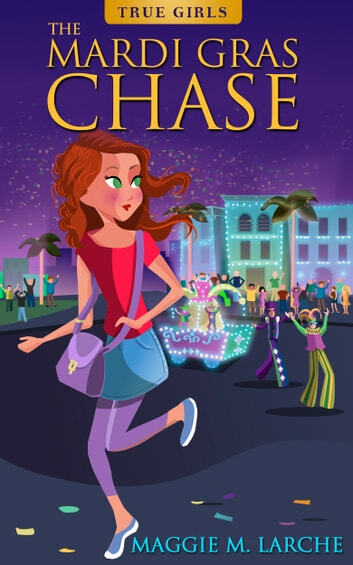 The Mardi Gras Chase is the first of the True Girls series from Maggie M. Larche, stories of girls with heart and intelligence, plus a touch of romance! We all know a True Girl. Who&apos;s yours?